This is how $100 in the long-run-plan stocks portfolio has grown since its launch in 2004, compared to the stock market. How did my stock portfolio achieve these returns? A comprehensive study conducted at Purdue University revealed that a certain type of shares in the US stock market achieved an excess return of more than 10% per year over 36 years between 1965 and 2000. Researchers recently extended the study until 2013, and the results were the same. Think about this for a moment – the stock market produces an annual yield of about 10%, so a portfolio consisting of these shares can yield an annual return of over 20%. If we go one step further and handpick the best performing of these shares the yields can be even higher. One of the world’s top investors, Joel Greenblatt, used these shares in his investment fund. Over a 10 year period, the fund achieved an average return of 50% per year. These shares are called spin-off stocks, and since I started investing in them in 2004, I have witnessed how they beat the indices. My spin-off portfolio (which was in Hebrew until 2016 and is also published in English since then) achieved an impressive annual return of 23.5% compared to the US stock market, which yielded only 5.6% during the same period. What is a spin-off stock and why is it beating the market? A spin-off is a subsidiary separated from its parent company, and start trading as an independent stock. The separation is done by dividing the shares of the spin-off company as a dividend to shareholders of the parent company (similar to a normal cash dividend, only here shares are received instead of cash). Recipients of these shares tend to offload them at any price in order to receive cash. Small market capitalization and almost complete anonymity of the company from analysts and most investors. On the other hand, more options for growth are available to the spin-off company after the separation from the shackles of the parent company. All of these factors combine to push their price down too low in the short term, allowing those who purchase them in time to receive very high returns after they re-rise to fair value over the next few years. 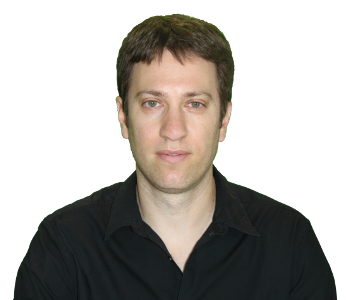 Who am I (Dr. Yinon Arieli)? For most of you, I’m probably just an anonymous guy posting educated stock reviews online. However, for Hebrew readers, I’m a well-known columnist, as I have been writing in leading financial journals for years. More importantly, my main business is managing millions of dollars for large private investors, thus my expertise is in identifying and analyzing investments. The best stocks that I find go directly into my portfolio that is shown on this site. What returns did the shares in my portfolio yield? The spin-off portfolio was launched (in Hebrew) in 2004, and since then produced an impressive average annual return of 23.5%. This is much higher compared to the S&P500 index which yielded only 5.6% on average in those years. 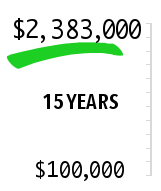 This means that if you had followed the stock portfolio on that site, you could have turned $100,000 into $2,383,000 in 15 years. Will the portfolio continue to beat the market in the future? No one can guarantee success in the future. However, the relatively small size of the spin-off stocks and the difficulty in analyzing them will continue to alienate the analysts and major investors for the foreseeable future, keeping the stocks in the private investors’ playground. Major investors aren’t focusing on anonymous and unpopular shares, meaning whoever purchases the shares at these early stages, while they are still trading at low prices, will probably continue to beat the indices. This service is not for everyone! If you are looking for a magic formula to earn several hundred percents in a few months or frequently trade stocks like a day-trader – this is not the place for you (and incidentally, no such formula exists anywhere else). On the other hand, if you are a patient investor who wants to build a responsible portfolio which has the potential to constantly beat the market within a time frame of three years or more, I believe that this site will be very useful for you. Can a novice investor without any financial knowledge copy this portfolio? The LongRunPlan portfolio is based on Value Investing strategy, which means buying stocks at a large discount to their fair value and hold them patiently until their price increase to that level. It usually takes 1-3 years for this to happen, which means very few trading orders (not more than 1-2 orders per month). Also, order timing is not important on these timescales, so you can buy a stock even a few days after we buy. Thus, the portfolio can be easily copied by everyone – novice to advanced investors. All you need is a brokerage account (which you can read about how to open one here). All other work of finding attractive investing ideas, analyzing them thoroughly, and choosing when to buy and when to sell – is done by us. All you have to do is waiting for our occasional buy or sell orders and copy them in your broker account. Is this service adequate also for more experienced investors? Yes (unless you’re happy with your portfolio return in the last 10 years…). I have seen many experienced investors and traders that simply can’t achieve satisfactory returns. This is because they try to time the market and jump from one stock to another too quickly without having a consistent strategy. This is the best recipe to achieve low returns or even losing money. Contrary, my portfolio is constantly beating the market since launching in 2004, so I’m probably doing things right. I didn’t invent anything. I’m just using the same value investing approach that Warren Buffet and other successful gurus do for years. Thus, when you follow my portfolio you’ll get a consistent strategy for the long run, you’ll get detailed and educated reviews on attractive individual stocks and occasional macro reviews as well. This will not only add you the knowledge and psychological support that is needed for long-term investment, but it will also assist you to manage your portfolio wisely and with less risk. My most important goal is that you will be 100% satisfied with the service you receive, so the membership to the site has no long-term obligation. As long as the site is useful for you, you can continue to enjoy it for a low monthly fee of $39. Registered and not enjoying it any longer? There is no obligation! Just send me an email and the billings will immediately stop. The site has over 400 members who are following my portfolio, so it is likely to be useful to you as well. PS – If you join now, the monthly subscription fee will remain unchanged forever, even if the rate will rise for new members.